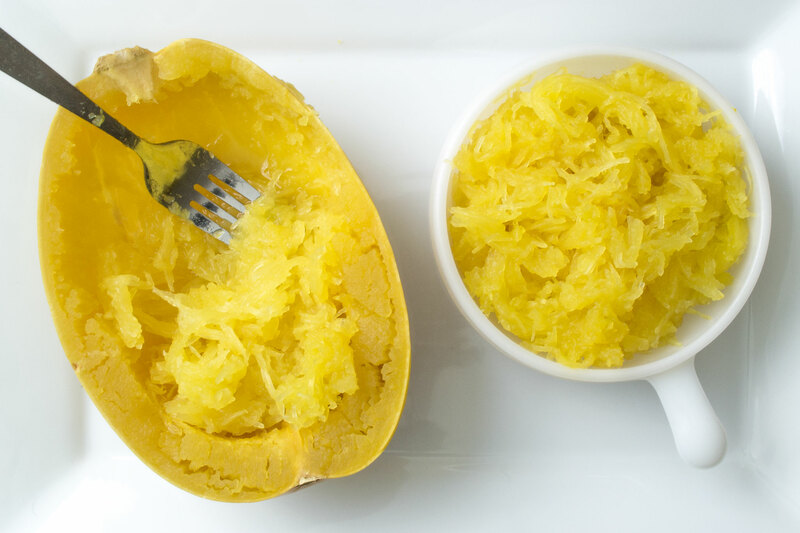 If you’re looking to get more vegetables in your diet, spaghetti squash is an excellent substitution for regular wheat pasta. 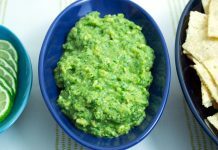 You can top it with any of the sauces you traditionally use with pasta. I like mine with roasted tomatoes and shrimp. It even makes a lovely version of the all time favorite – spaghetti and meatballs. 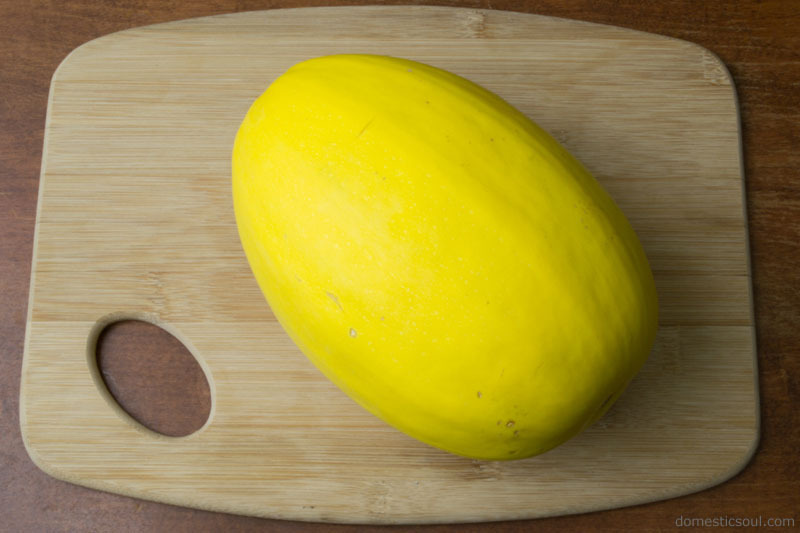 One small downside to spaghetti squash is that it does take longer to cook than regular spaghetti. If you cook it in the oven, it can take an hour or more. When you’re looking to get dinner on the table quickly, this can really hold things up. Luckily, pressure cookers can speed up the cooking time of so many dishes – ribs, oxtail, beef shank – and our beautiful spaghetti squash. 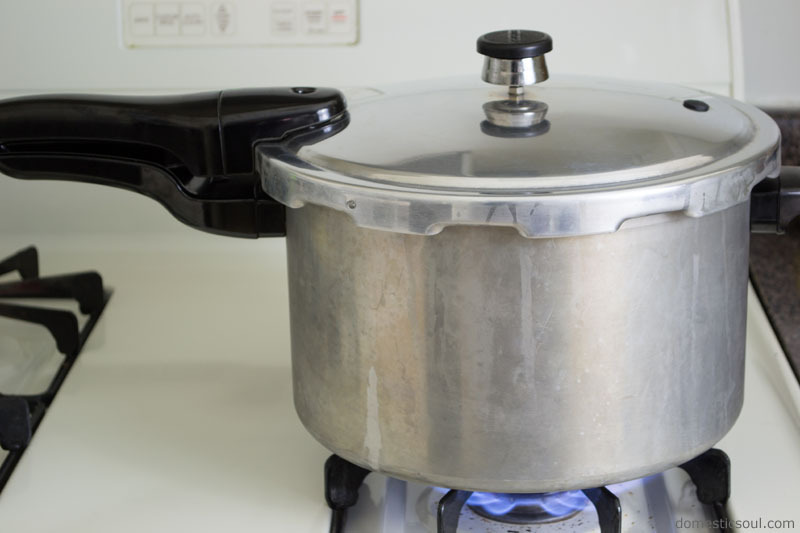 A pressure cooker can take the cook time from over an hour in the oven, to about 20 minutes total (including cooking and cooling). 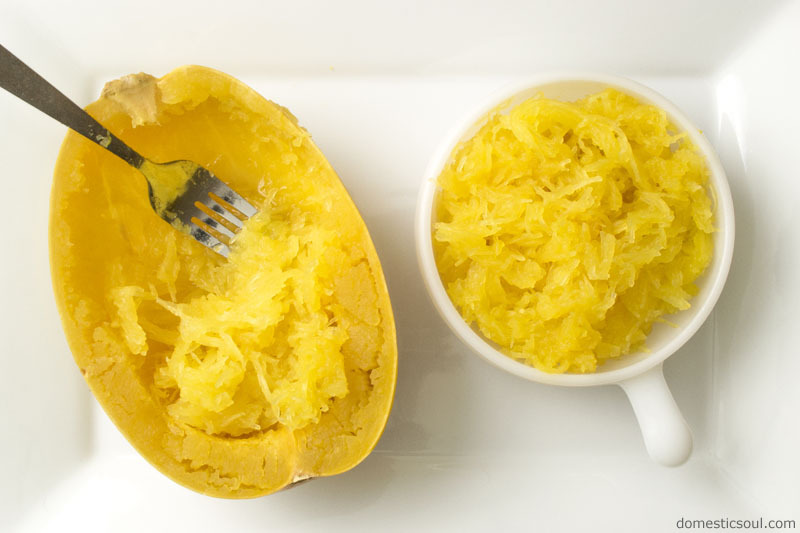 This means, instead of just a weekend meal, now you can have spaghetti squash on weeknights too! Try to find one that is darker yellow. Usually the paler yellow ones are not quite ready yet. You’ll need a pretty sturdy knife (and a little elbow grease!) 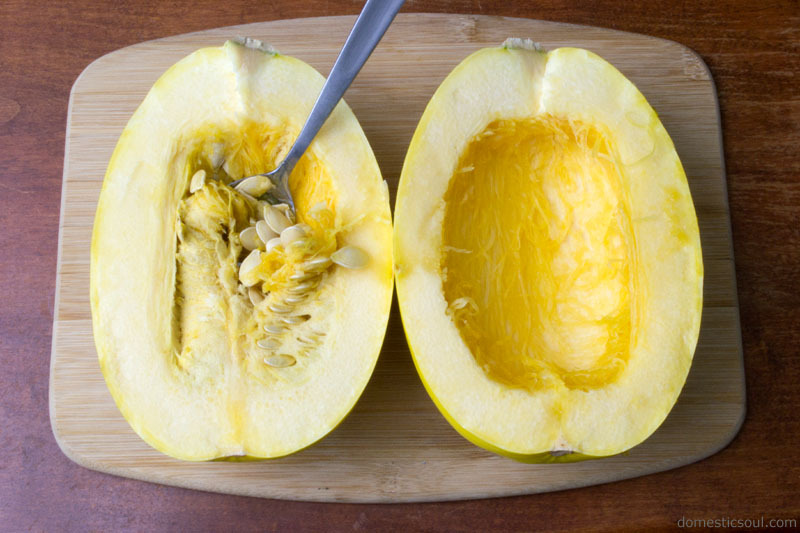 to slice your squash in half. Their tough outer skin does make this a little bit of work. 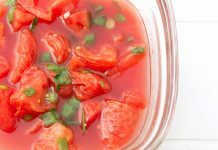 Scoop out the seeds with a metal spoon – a dinner spoon should work just fine. 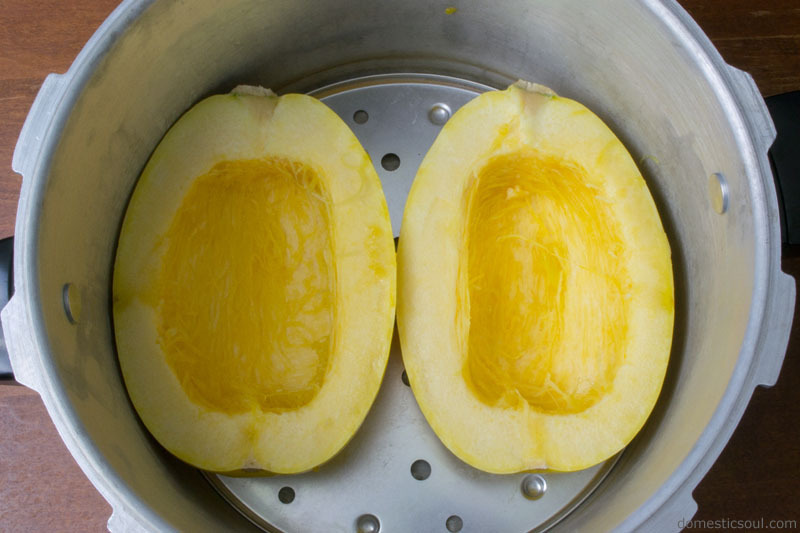 Place your squash in the cooker and add half an inch to 1 inch of water in the bottom. Pressure cookers have locking lids so they can build up the pressure inside without the lid flying off (ooh what a mess that’d be!). Lock the lid in place and place the pressure regulator on top (the black and silver knob on top of the lid). Turn on high and bring up to pressure. You know you’ve hit pressure when the pressure regulator starts rocking. Once you’ve hit pressure, cook for about 8-10 minutes. Step 5: Turn the stove off and allow the pressure cooker to depressurize and cool. When the pressure cooker has depressurized and you can safely remove the lid, remove the squash from the cooker and scrape out the inside with a fork. Then, top with your favorite sauce and serve. And that’s all there is to it! 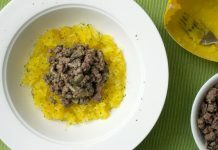 But don’t stop there – here’s a delicious dairy free beef stroganoff recipe to top the squash with! 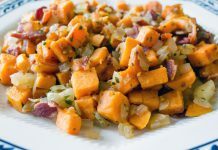 Link Love: This recipe was also featured on the blogs listed below. Be sure to tell them I sent you! 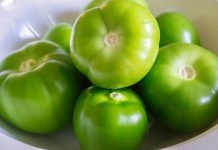 Did you feature one of my recipes on your blog? 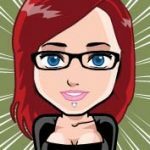 Drop me an email and let me know. Done! 🙂 As soon as you post it, it should add an automatic link back to your site on this page above the comments.